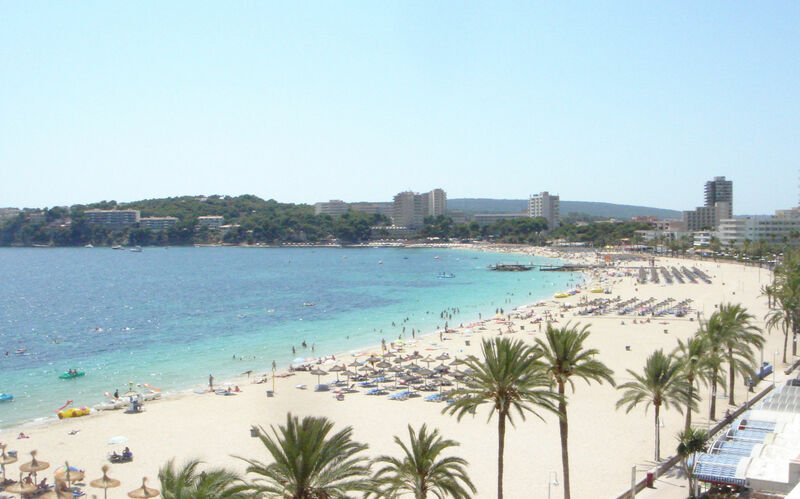 The popular resort destination of Magaluf lies on the southwest coast of Majorca, an island in the Mediterranean. Magaluf boasts a striking sandy beach about 1750 meters long and features a wide range of entertaining activities for vacationing families. Getting around is never a problem, since the area is compact with most of the accomodations and attractions in the area situated near the beach. The sunny summer months of July and August are the peak season for holidays to Magaluf, with many hotels closing during the winter period of Novemeber through March. The Pirates Adventure Show is a family friendly extravaganza that recalls the period when these charismatic swashbucklers roamed the high seas leaving havoc in their wake. The show is a mesmerizing blend of story, costumes, dancing, acrobatics and even sports its own musical score. The show has been seen by more than 3 million spectators and presents a thrilling and unforgettable experience for the entire family. The show plays in its own dedicated theater and runs from March to November. The Western Water Park features a wide range of rides and slides that make it a great place for an afternoon family outing. Among the exciting water-based slides is The Beast, which has a breathtaking drop of over 98 feet. The giant Mega Slide lets the whole family go down the ride in a single raft, while the Wild River lets everyone ease their way down the water on an air tube. The park opens in late April and closes for the season in late September and has special prices for children. Discounted tickets are available for those who purchase in advance online. *Climate — Temperatures during Magaluf peak summer season average between 30 and 35 degrees Celsius (86 and 95 degrees Farhenheit), so caution is required so a visitor does not risk sunburn. The weather in the off-season is usually temperate, although the area has seen snow on some occasions during the winter. The months of November, April and March usually see the most rain. *Water Activities — The Magaluf beach and coastline support a wide variety of aquatic activities, such as scuba-diving, jet-skiing and snorkeling. *Marine Land — This fun-filled family attraction features a dolphin and sea lion show that gives these fascinating creatures a chance to show their playful side. A tropical aquarium is home to sea turtles and exotic fish species. Marine Land opens in early March and has discounted tickets for both children and seniors. *Katmadu Park — This unique attraction offers visitors the opportunity to go through a house that is upside-down. A variety of adventures occur as visitors pass through each room. *Black Lizard Island — Situated off the coast of Maguluf, this small island is close enough to the resort that some resolute individuals can swim out to it. The island is uninhabited, but makes a great place for a family to go hiking or exploring. *Wind Surfing — For the adventurous, this activity can provide a thrilling time on the sea. Expert windsurfers hire themselves out help to help the novice learn how to maneuver a surfboard that has a sail attached. *Cruises — A great way for a family to see the fascinating marine life that lies just below the surface of the sea is to take a tour in a glass-bottomed boat. It’s fun, educational and completely safe. Magaluf is a wonderful town and area to visit, I have been there several times and will come back to Magaluf.